New products or investment opportunities can blow a hole in well-planned budgets. Here’s how companies adapt. Three out of four CFOs now have process improvement initiatives underway. The pace of technological and economic change demand fast financial forecasting updates, CFOs find. Companies should vary the budgeting model used for particular business units and functions, research shows. A company may have a chance to buy a piece of prime real estate at a bargain-basement price. Or, suddenly, it finds it can run a manufacturing plant much more cheaply because a new energy technology has become available. Or the CFO senses that interest rates have hit bottom, and the firm has a now-or-never chance to lock in low rates for years. Whatever the opportunity might be, rigidly observed annual budgets can be of little help to a finance chief who must make a fast decision about allocating capital when the unexpected crops up in the middle of a fiscal year. Take, for example, Jeff Bornstein, the finance chief of General Electric (and one of our CFOs to Watch in the September 2016 issue of CFO). Along with other members of the company’s senior management, he’s leading an effort to succeed in a largely uncharted field — the “industrial internet,” a new term that GE itself is credited with having coined. 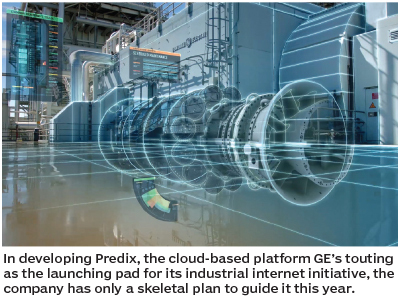 In developing Predix, the software platform GE is touting as its launching pad in this arena, the company, of necessity, has only a skeletal plan to guide it this year. “This space moves so quickly. We came into the year with an outline. We knew where we wanted to be at the end the year. We had a definition of what we thought success looked like,” says Bornstein. Ultimately, budgeting for Predix had to be a work in progress. “It’s a live thing. It’s not a budget you print on a piece of paper and put in a filing cabinet,” Bornstein says. Mike Murray, the CFO of Napa Recycling & Waste Services, feels the same way about annual budgets. Approaching his budget on a monthly basis gives him the precision to adjust his plans to fluctuations in oil prices, the need for new equipment, and other contingencies. “The annual budget is a dead document, in my opinion,” Murray says. Indeed, as the pace of change accelerates, finance chiefs increasingly find themselves in the position of having to redraw their best-laid plans. Never is that more the case than when a major corporate effort arises — an entry into a new market, for example, or an enterprise resource planning system installation. To learn about the effects of such major efforts on budgeting, planning, and forecasting processes, CFO interviewed three finance chiefs grappling with transformations of their companies and industries. Here are their stories. A little more than a year has passed since GE began transforming itself from an infrastructure and financial services giant into a full-blown industrial internet company. Accordingly, the firm is putting a lot of its eggs into Predix, a cloud-based operating system aimed at helping companies gather and analyze their internal data to get maximum performance out of their industrial assets. The company’s aspirations for the platform are high. If Predix establishes itself as “one of the two or three operating systems for the world’s industrial internet, which includes markets and customers and companies that we don’t directly do business with, then the optionality on that is enormous,” CFO Bornstein says. Yet because the effort is largely a journey into the unknown, detailed long-range planning is a challenge. At the beginning of 2015, “we started with a definition of what winning would look like for the digital industrial effort at the end of 2016,” explains Bornstein. That definition of winning translated into specific outputs. “We wanted a certain number of people developing, a certain number of deployments of Predix, a certain number of customers operating on the platform. We wanted a certain number of petabytes of data going through our algorithms,” the finance chief recalls. The review sessions aren’t the only times when plans are assessed. “As we move throughout the year, we’re constantly reevaluating whether or not that blueprint still makes sense,” he adds. More broadly, the blueprints are evaluated in the context of GE’s entire portfolio of operations. Every July, Bornstein and other senior executives perform a detailed review of the portfolio for the GE board. As part of the review, they present a three-to-five-year financial profile of the company, including its capital allocation strategy over that period. Mike Murray, CFO of Napa Recycling, remembers the bad old days of working under the tight grip of an annual budget. “It was very onerous,” he says of the yearly process over two decades ago at the huge environmental corporation that would later be called Waste Management. If Waste Management, which later acquired Murray’s current employer, “wanted to buy two trucks, [we] needed to know that a year in advance.” he says. “If we wanted to buy a third truck, we wouldn’t be able to buy it” that year because it wasn’t in the budget. 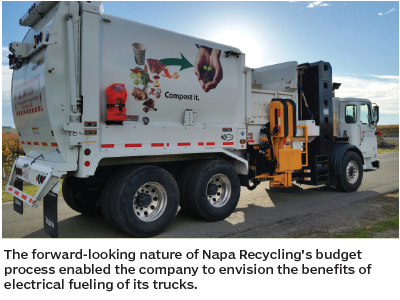 Although Napa Recycling still retains an annual budget cycle, the company has long since adopted a 24-month rolling forecast to make it more adaptable to changing conditions during the year. Every quarter, the company’s managers compare the budget’s assumptions to a fresh forecast and adjust the budget accordingly. A big advantage is that Napa can see far beyond the current year and use that forecast to allocate capital needed more immediately. For example, if a truck is in poor shape, Murray can decide to buy a new one even if it wasn’t provided for in the annual budget. That’s because he can see how the company might be able to recapture the revenue to pay for the truck over, say, the next 10 years. Further, the forward-looking nature of the process has enabled the recycler to see in advance the benefits of major projects that may have seemed too costly to launch under a rigidly enforced annual budgeting system. In January, Napa, a company with $40 million in annual revenue, was thus able to open a processing plant that converts green waste (nitrogen-rich waste culled from gardens, parks, homes, and businesses) to compressed natural gas. In turn, the company uses the low-carbon, environmentally friendly gas to generate electricity to run its 48 garbage-collection trucks. Besides spurring big changes in a company’s information technology and financial reporting, the movement from managing data on premises to handling it in the cloud can disrupt how a company budgets, plans, and forecasts. That’s even been the case at a company like Centage, a budgeting and planning software provider, for whom budgeting is second nature. But when the company began entertaining the prospect of migrating its flagship Budget Maestro product to the cloud, it “forced us to take a long hard look at the business,” says CFO John Orlando. Presumably, the subscription-based contracts used in selling services in the cloud can boost customer retentions. Yet that can also make the process of putting together a balanced income statement a scramble. “Transitioning from an on-premises to a cloud business is a bit tricky because when you sell something in an on-premises business, it becomes net sales immediately,” Orlando points out. “In a cloud business, what you sell ends up being deferred” over the course of a 12-, 24-, or 36-month contract. “It’s a totally different ballgame in terms of putting your P&L together,” the finance chief adds. Booking sales on a subscription basis rather than getting paid immediately was a brand-new system for Centage’s management to learn. “So we changed our thinking when we put our plan together. We’re much more focused on balance sheet and cash flow than we ever were before,” the finance chief says. 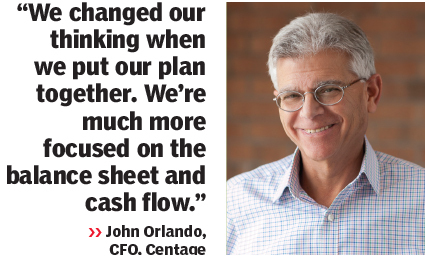 As it has at other firms, it seems, the big change at Centage has brought with it a more adaptive way to budget and plan to meet the company’s most pressing challenges.